Smartphones have quickly become our personal hubs for all notifications, text messages, and other important things–but who wants to type on a tiny keyboard all the time? 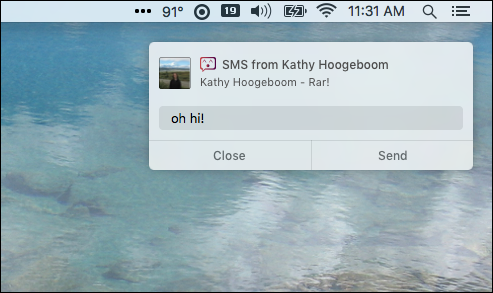 With this free Mac app you can see all your Android notifications on your Mac, and even respond to them right from the notification itself. The ever-popular Pushbullet can do this, but there’s no native Mac version of Pushbullet. This means that notifications are sent through a browser plugin, which are usually ugly and don’t offer the ability to respond from the notification itself–you have to open the browser plugin or webpage. Which brings us to Noti. 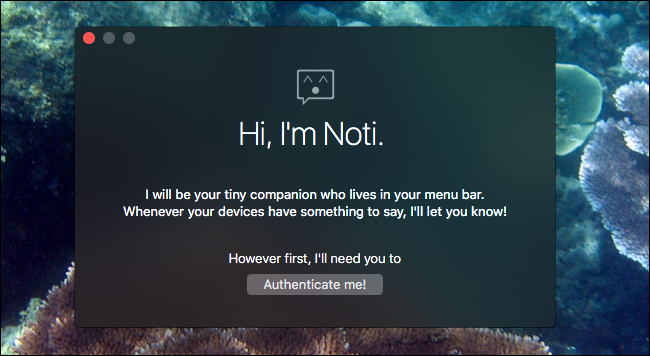 This free Mac application does one thing, and does it well: notifications. It links Pushbullet to your Mac’s native notification system, and lets you respond to texts within the notifications themselves. Noti can also trigger other notification actions, all from your Mac, meaning you don’t need to pick up your phone at all. Yes, Pushbullet has lots of other features–like sending files and notes between devices, and Noti doesn’t support those. It’s just about the notifications, but it works better for notifications than any other tool out there for Mac right now. Thankfully, you don’t have to pick between the two–you can use Pushbullet’s browser plug-in for advanced features, and Noti for notifications and SMS messages. Here’s how to set it up, assuming you already have Pushbullet installed on your Android device. Head to Noti.center and download the DMG file. 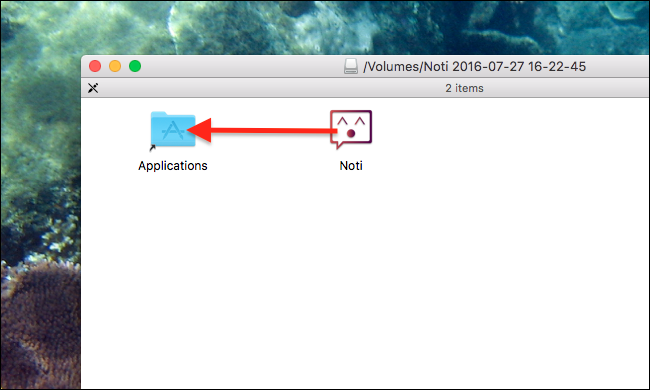 Open it, then drag Noti to your Applications folder (you know, the usual icon-dragging song and dance). Launch Noti and you’ll be asked to authenticate. 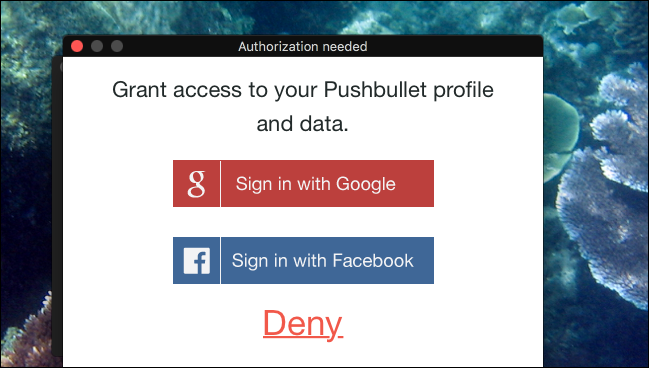 Log in with your Google or Facebook account, whichever you use in Pushbullet on your Android phone. If you have two-factor authentication set up, you’ll need that SMS key, so have your phone handy. Once that’s done, you’ll find an icon for Noti in your Mac’s menubar. From here you can enter an encryption password, assuming you’ve set that up on your Android device, and check for updates. But this icon isn’t the real fun. That happens when you get notifications. They’ll pop up on the screen, and you can even respond to SMS messages right from your Mac. And it’s not just responding: any action offered by a notification in Android can now be taken on your Mac. If your to-do list lets you delay things for an hour, for example, you can do that from your Mac. The idea is that you never need to look at your phone to deal with a notification, and it works quite well. There may be a few things you don’t like about Noti’s notifications. The sound, for example, is probably redundant with your phone, and then there’s the fact that the notifications don’t disappear after a few seconds. There’s no way to change this inside Noti itself, but you can configure your Mac’s notifications if you know where to look. 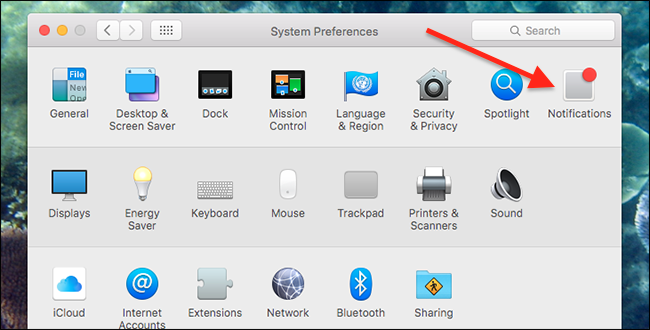 Head to your Mac’s System Preferences, then to “Notifications”. Scroll down until you find “Noti”, then select it. From here you can disable the notification sound, by unchecking “Play sound for notifications”. If you’d prefer notifications to disappear after a while, instead of staying until you dismiss them, choose “Banners” instead of “Alerts”. 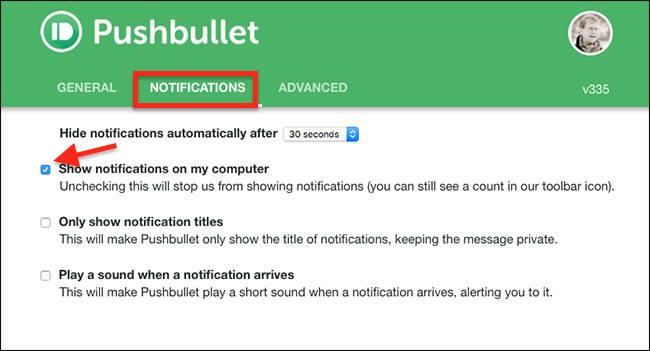 If you use the Pushbullet extension in your browser–say, for Pushbullet’s other advanced features–you might be getting double notifications right now: a beautiful, useful one from Noti, and a hideous useless one from your browser. You don’t need to uninstall the browser extension to stop seeing the browser notifications. Open your browser plugin, then hit the gear icon at top-left to open the settings. In the settings window, head to “Notifications”, then uncheck “Show notifications on my computer”. 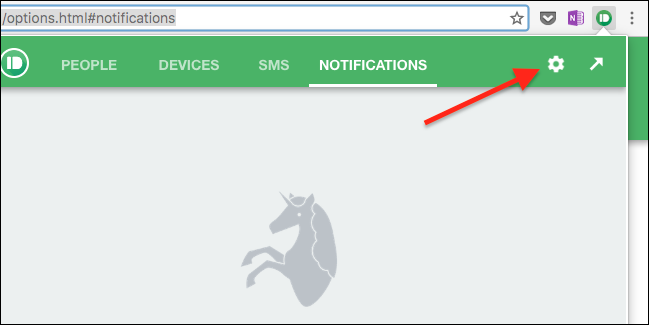 You can now use Noti for notifications, and the browser extension for Pushbullet’s other features. Enjoy! If you want more than Notifications out of Pushbullet, you have a few options. There’s the official browser plugin, as mentioned above, which is offered for Chrome, Firefox, and Opera (there’s no current Safari version, sadly.) This lets you browse SMS conversations as well as respond to them. Alternatively, there’s Pushpal, a $3 app that offers native Mac notifications and pushing files between devices, but no real way to browse your SMS conversations. Or, if you’re over Pushbullet altogether, you can read about the other options, including AirDroid. 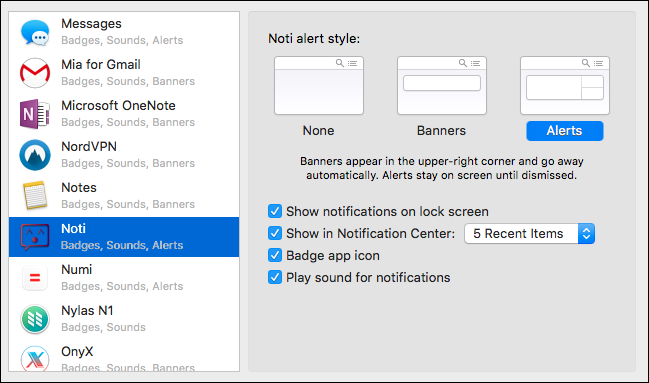 That tool offers notification syncing, but notably does not use the Mac’s native notification system, meaning things can get a little messy.